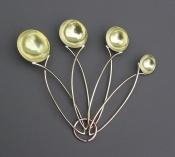 A set of measuring spoons made of brass and bronze, connected together with a copper ring. 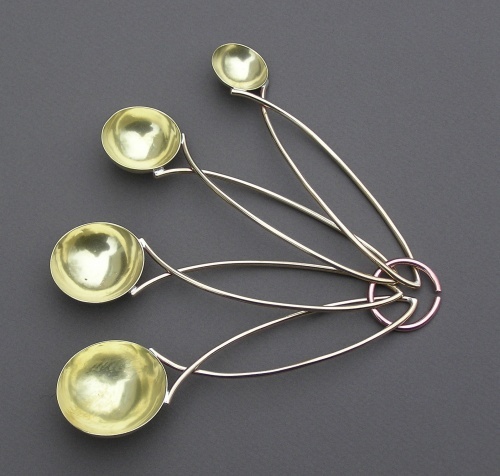 Set of 4 spoons are marked on back of each spoon as tablespoon, 1/2 tablespoon, 1 teaspoon, and 1/2 teaspoon. A nice set to display in your kitchen and ready to use for cooking! Size: 5.5" x 1/4" - 1.5"